Useful products, delicious recipes, and not a spiralizer in sight! Promise. The products in this post were updated in April 2018. 1. Set and (almost) forget a fluffy cinnamon pancake in a rice cooker. 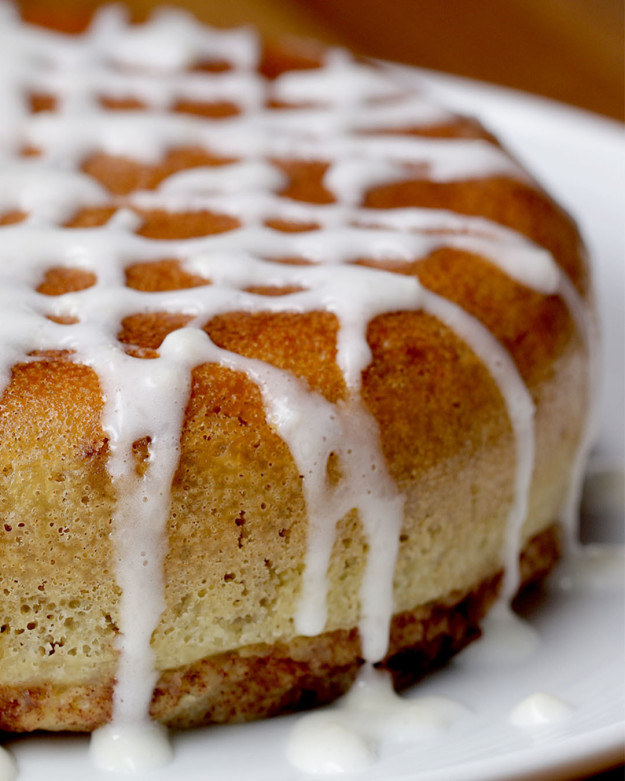 This cinnamon roll-ish pancake perks up perfectly in this unassuming small appliance. 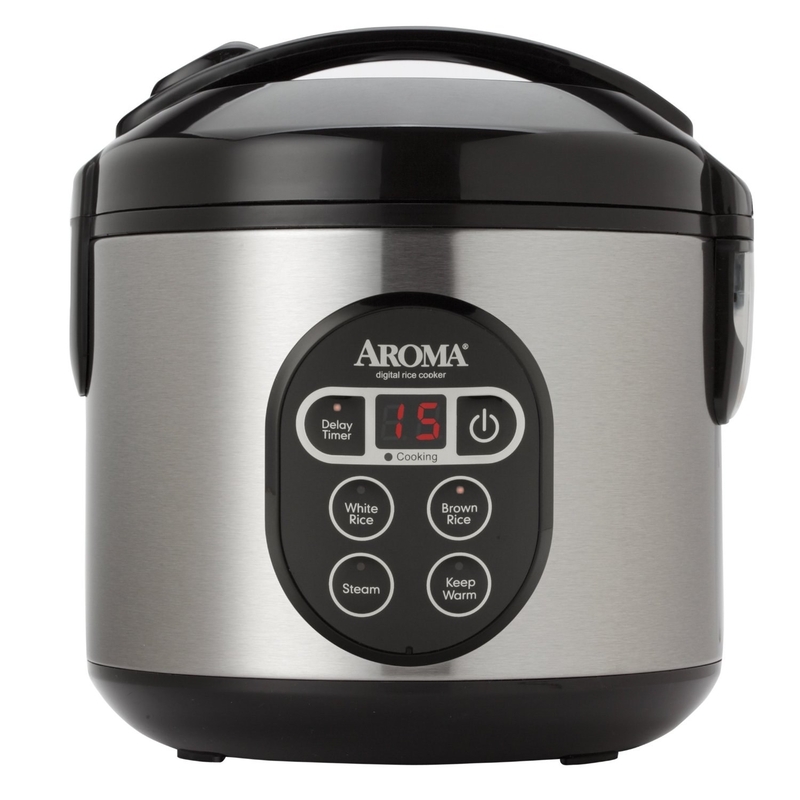 Get the recipe from Tasty and the rice cooker from Amazon for $29.92. And if you're into making another worthwhile investment, check out our top picks for the best blenders on BuzzFeed Reviews. 2. 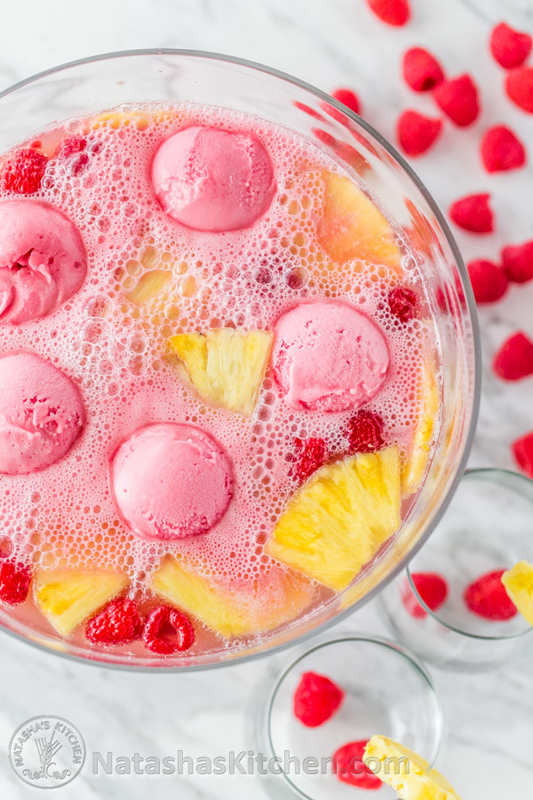 Hate trying to fish out sherbet scoops from party punch?Portion out the perfect amount for each serving in cupcake liners and baking sheets and stick them in the freezer for big-batch raspberry party punch. You get a scoop of sherbet! And you get a scoop of sherbet! H/T to Alyse Whitney for this genius idea. 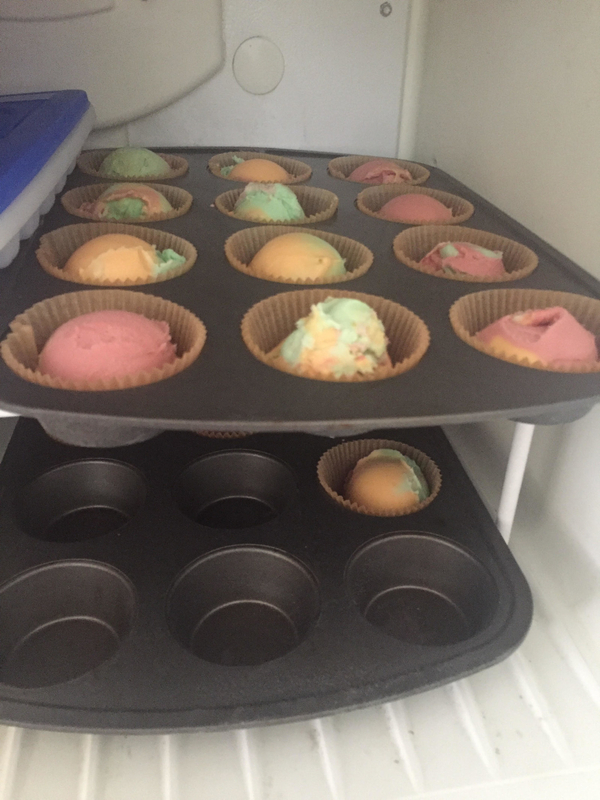 Get the recipe from Natasha's Kitchen, and 300 cupcake liners from Amazon for $7.57 and a 12-cup muffin tin for $8.38. 3. 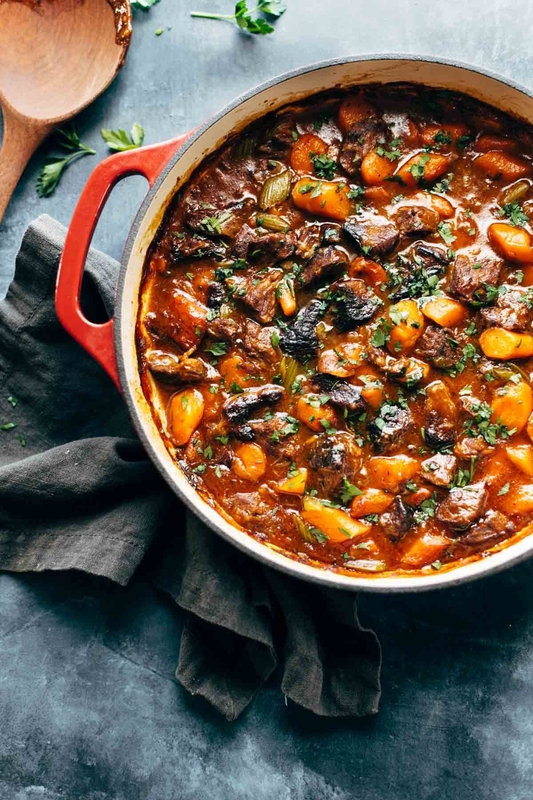 Make this life-changing beef stew in an Instant Pot once and you'll never go back. 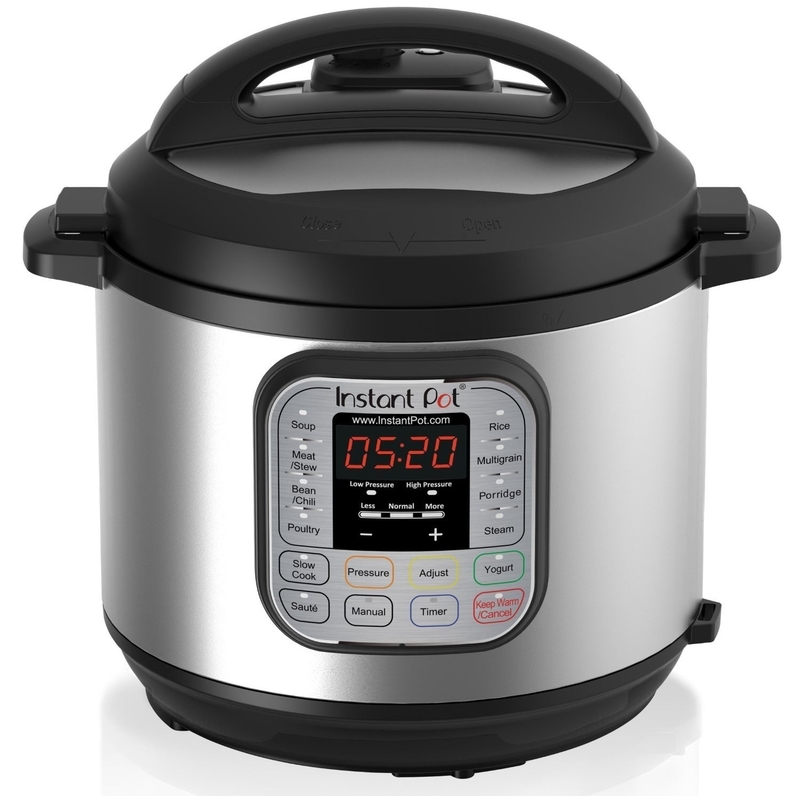 The Instant Pot is a total game changer in the kitchen, as one BuzzFeeder discovered. 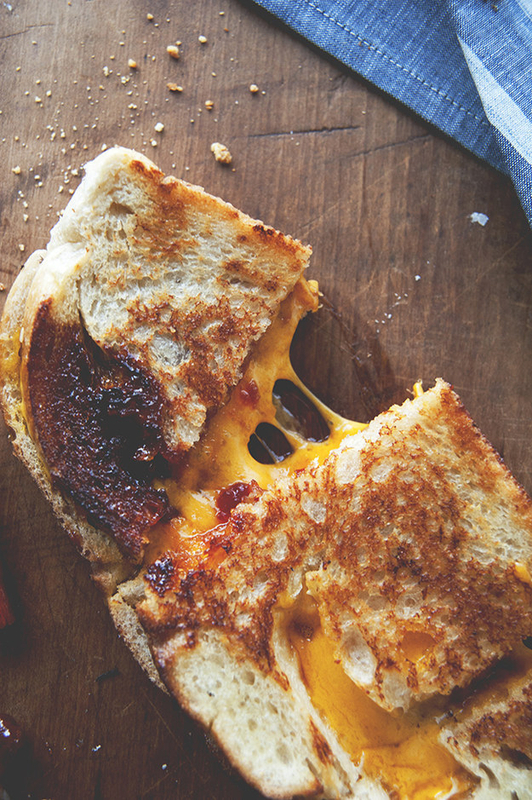 This recipe is no exception to that rule. Get the recipe from Pinch of Yum and the Instant Pot from Amazon for $79.99+ (available in three sizes). 4. 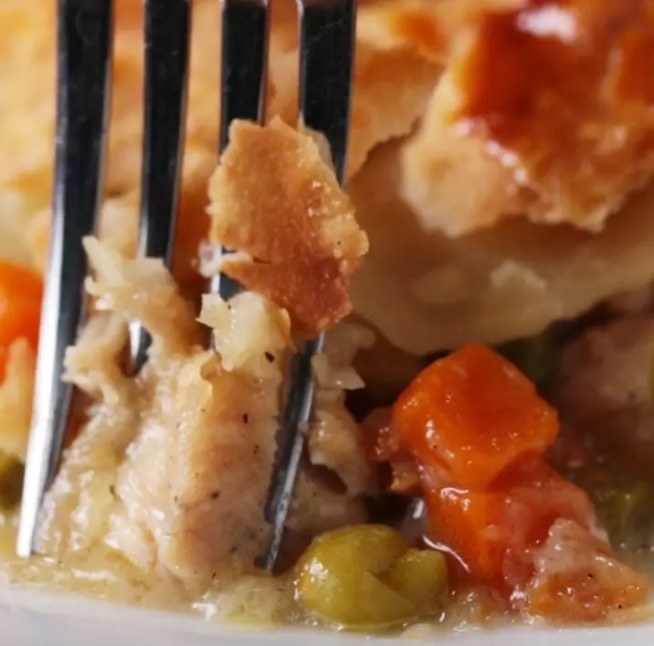 Make your body and kitchen sink happy by whipping up a one-skillet chicken pot pie in a preseasoned cast-iron skillet. One-pot dishes are the absolute best, and you'll never run out of uses for a cast-iron skillet. 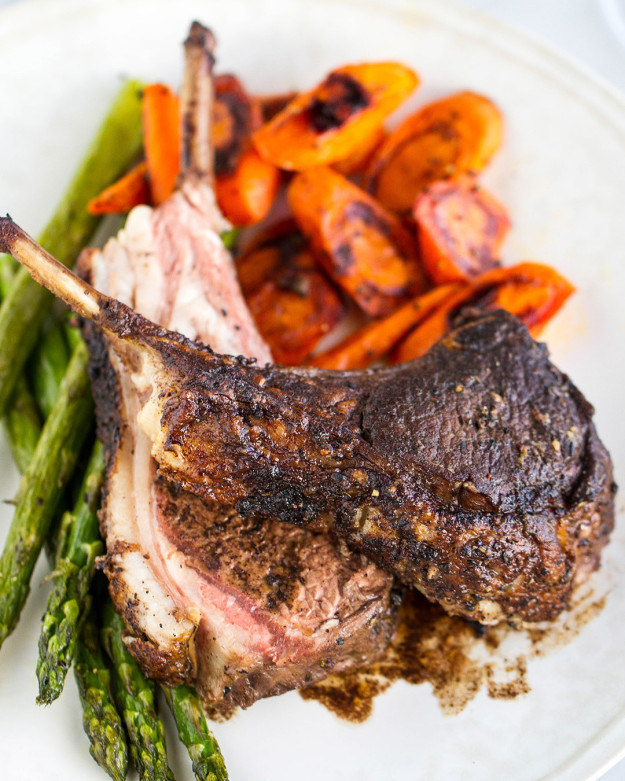 Get the recipe from Tasty and the cast-iron skillet from Amazon for $14.88. 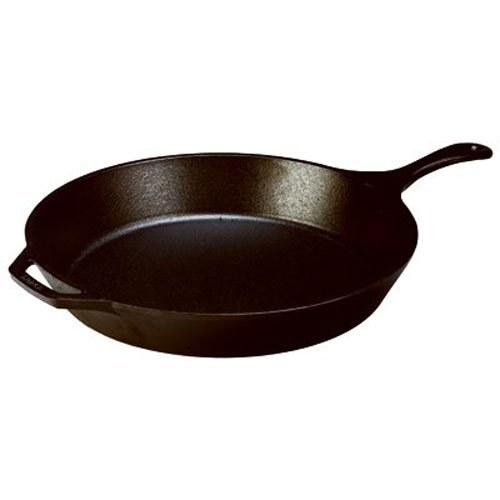 And check out our top picks for the best cast iron skillets on BuzzFeed Reviews. 5. 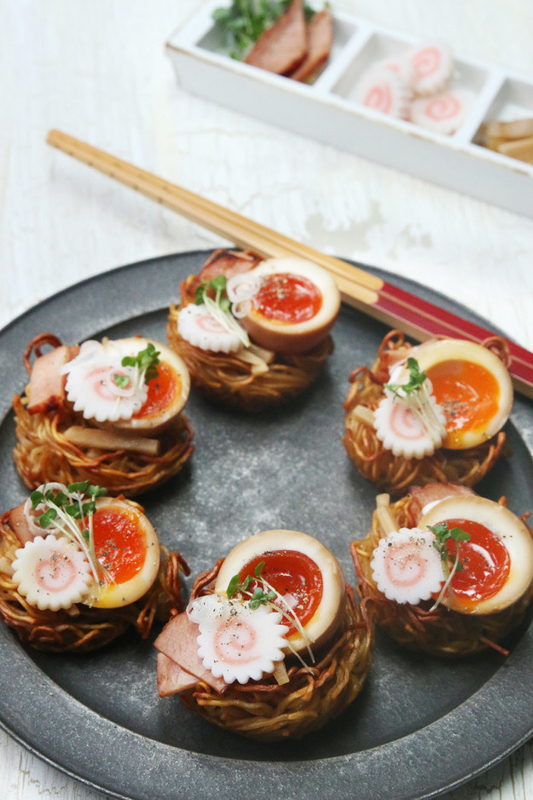 Prep noodles more efficiently for adorable ramen muffins with a BPA-free rapid ramen cooker. Pop this in the microwave to get evenly boiled noodles. 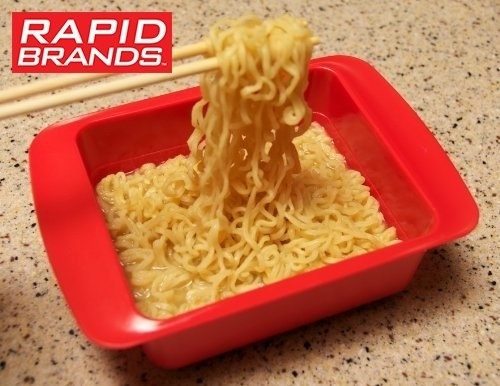 Get the recipe from Tasty and the ramen cooker from Amazon for $8.51. 6. 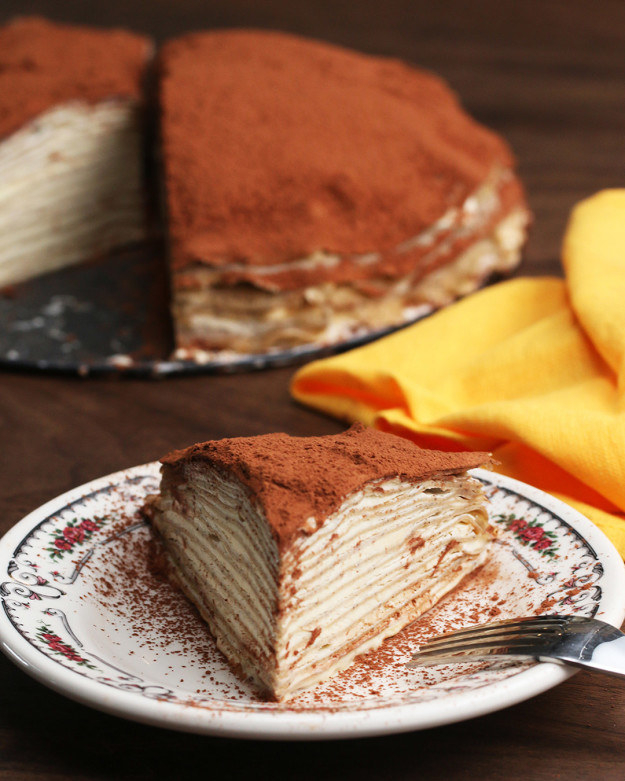 Impress your taste buds — without fishing out eggshells — by using an egg separator to make these tiramisu mille-crepes. Less time spent tediously cracking eggs and more time shoveling these crepes in your mouth. Get the recipe from Tasty and the egg separator from Amazon for $4.99. 7. 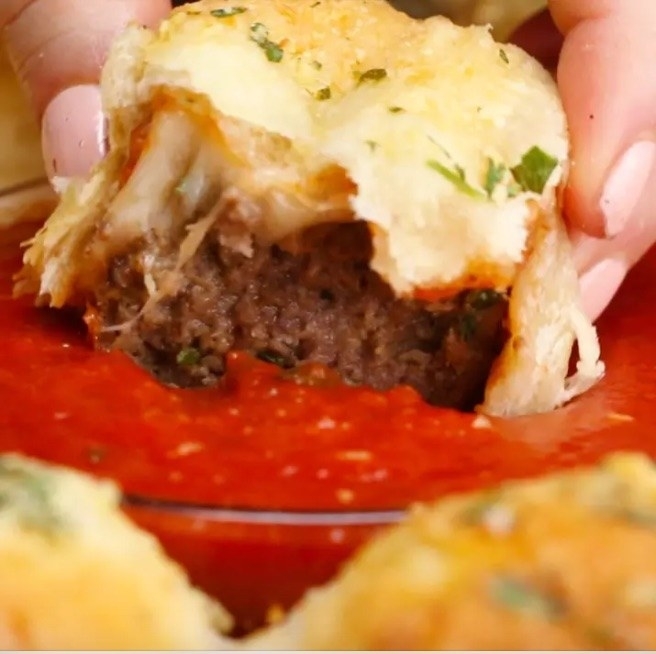 Let this little garlic chopper do the smelly mincing for you so you're one step closer to this glorious cheesy garlic bread meatball ring. If your hands are going to smell like garlic, it should be from eating, not food prep. Get the recipe from Tasty and the garlic mincer from Amazon for $8.95. 8. 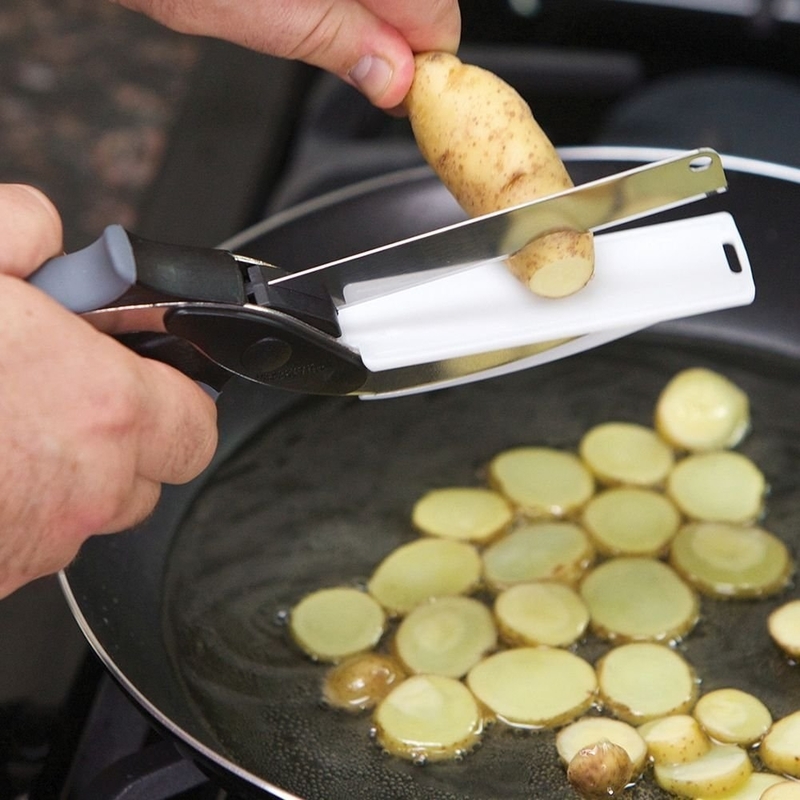 Slice up some spuds for garlic Parmesan potato stackers with this handy vegetable slicer. 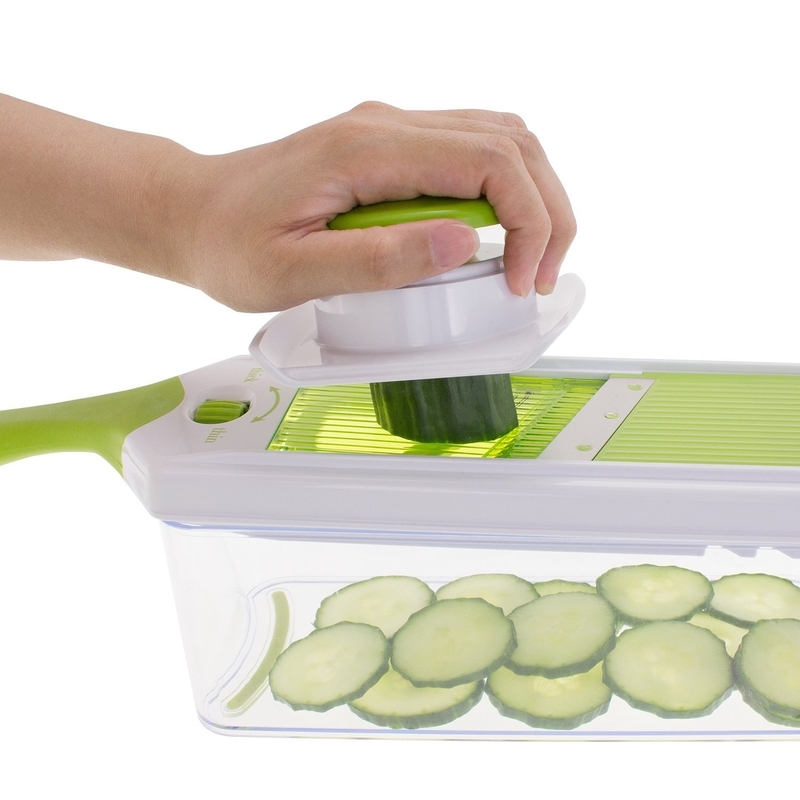 This mandoline slicer comes with six interchangeable blades that'll come in handy for prepping basically any dish. 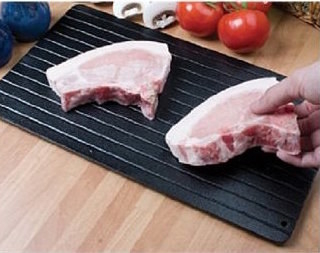 Get the recipe from Tasty and the 7-in-1 slicing set from Amazon for $16.99. 9. 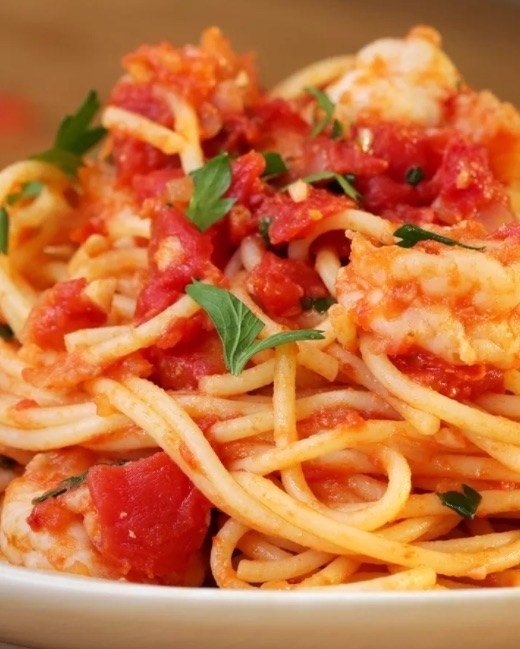 Devein shrimp for a one-pot tomato garlic shrimp pasta with this tiny shrimp cleaner. You'll want to start putting shrimp in everything after you've mastered deveining with this. 10. Scape the bowl with these silicone spatulas so every last drop of the batter for this chocolate fudge ice cream cake gets used...in your mouth. They're good for things that aren't dessert, too. 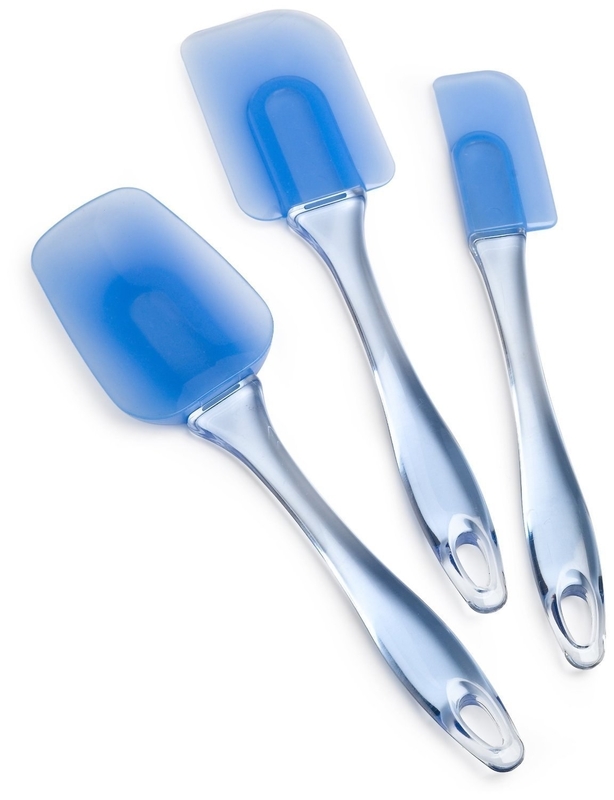 Get the recipe from Tasty and the spatula set from Amazon for $10.87. 11. 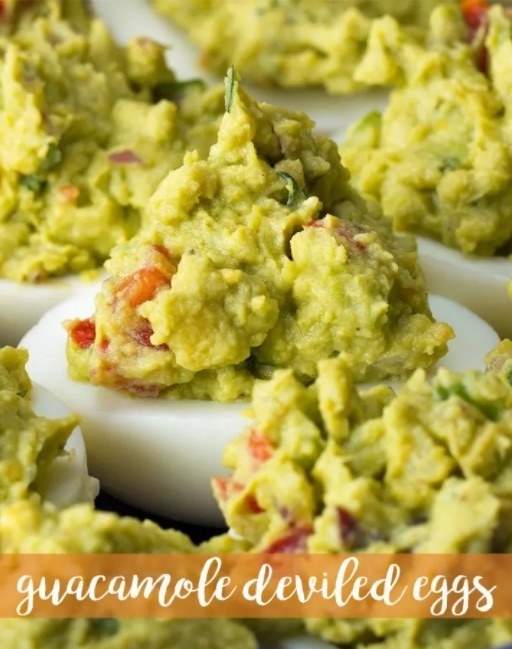 Make quick work of guacamole deviled eggs with a rapid egg cooker. 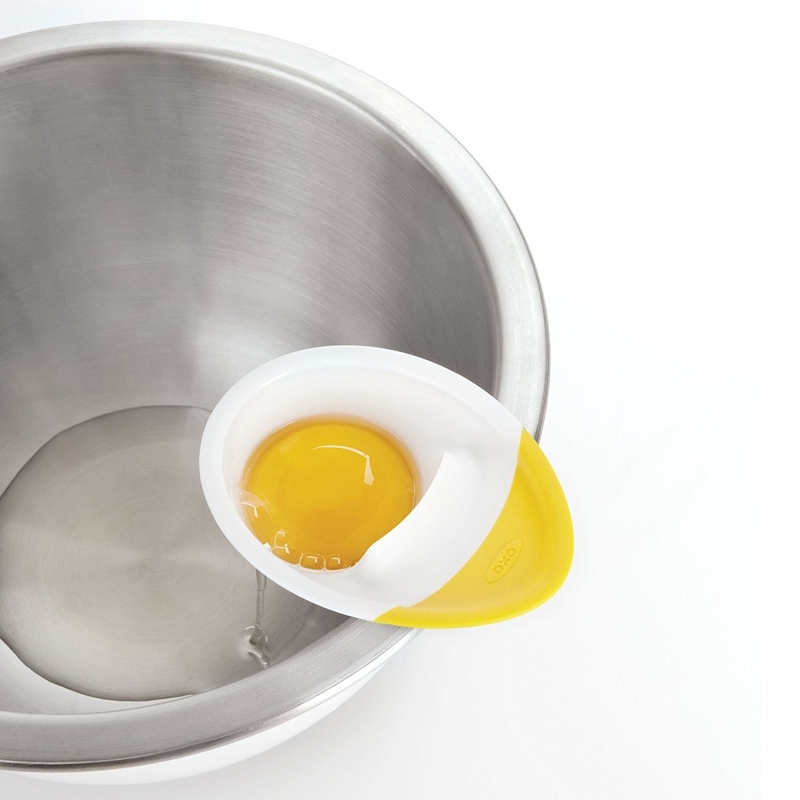 Avoid minding your eggs at the stove with this multifunctional egg cooker you'll use over and over and over again. 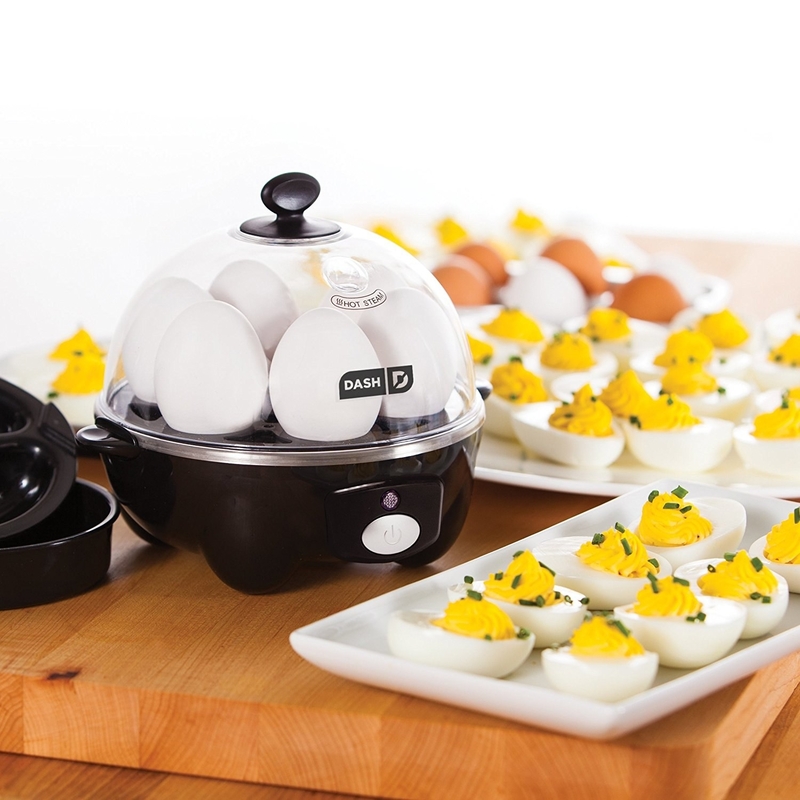 Get the recipe from Tasty and the egg cooker from Amazon for $19.99+ (available in four colors). 12. 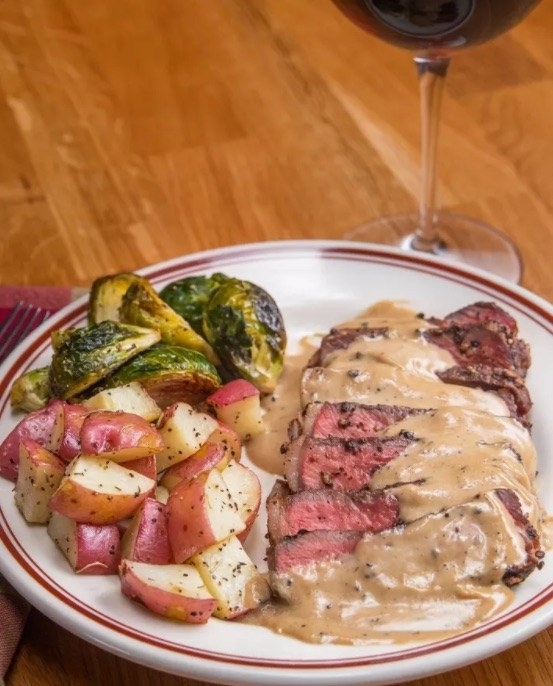 Thaw out the main attraction of French pepper steak (steak au poivre) with a defrosting tray. Stick to your dinner plans — even if you're forgetful AF — with this simple little tray. Get the recipe from Tasty and the steak defroster from Amazon for $13.99. 13. 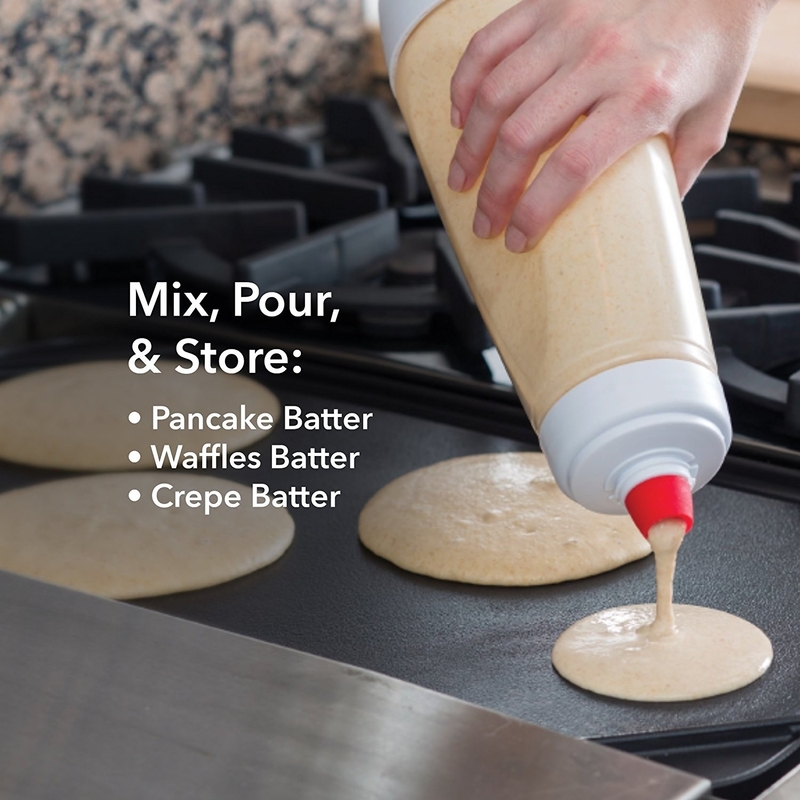 Squirt out the right dose of batter for pancake cups with this batter mixer/dispenser. 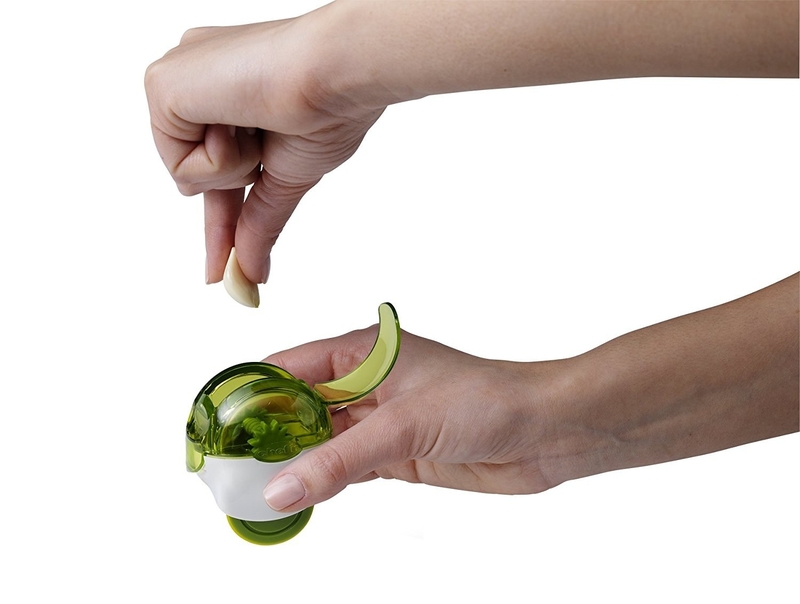 The squeezable dispenser means that no drop of batter goes to waste. 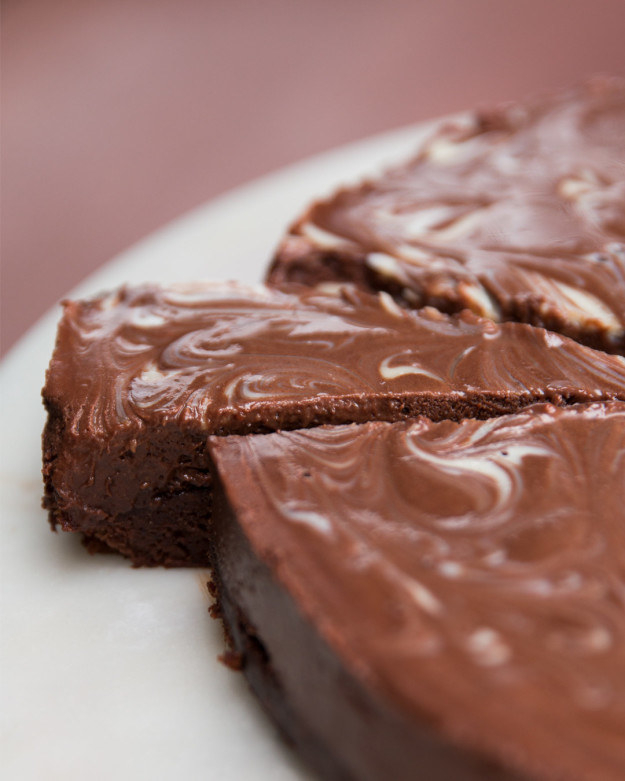 Get the recipe from Tasty and the batter mixer from Amazon for $13.47. 14. 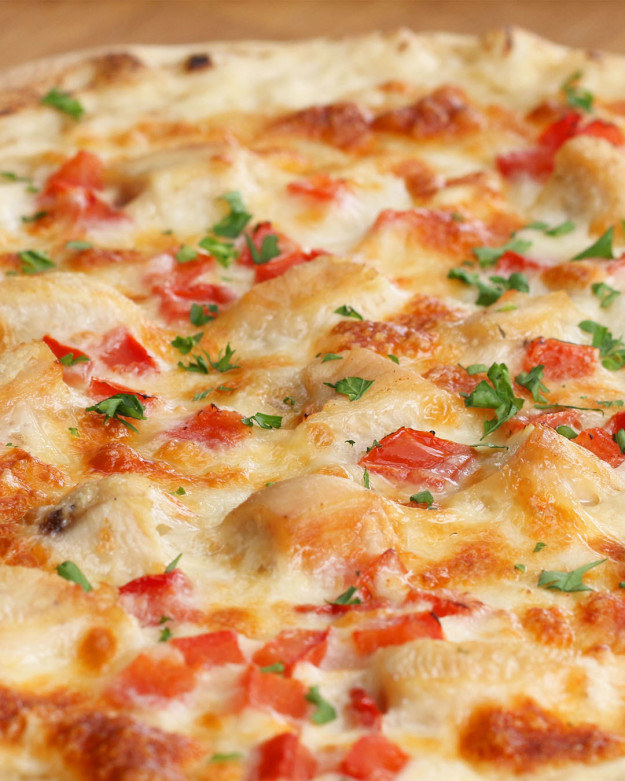 Cut the perfect slices of chicken Alfredo pizza with this handsome pizza cutter. Half — OK maybe like a tenth — of the fun will be cutting the pizza before you even eat it. 15. 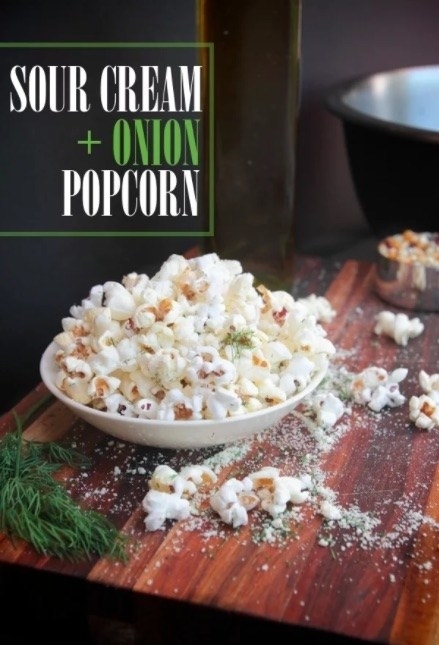 One-up your next Netflix binge with this hot-air popcorn maker and a scrumptious sour cream and onion popcorn recipe. 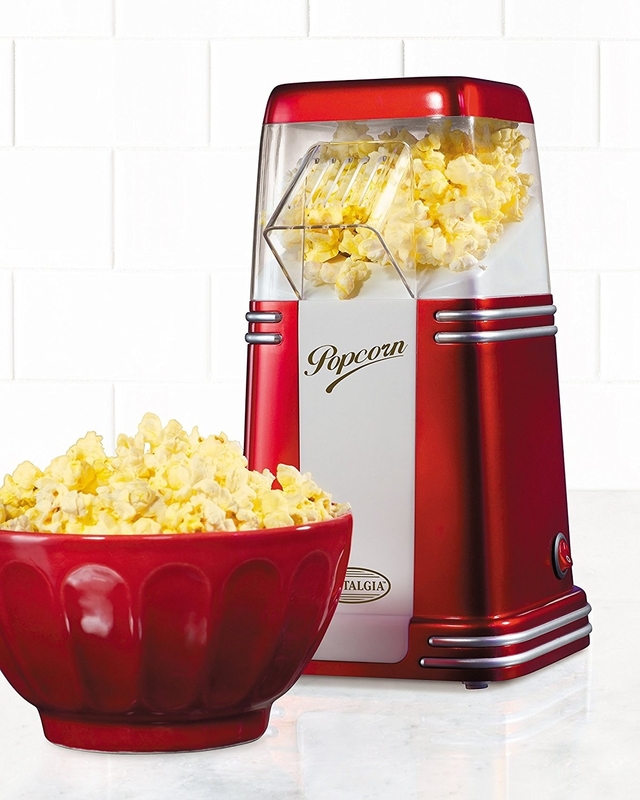 This nostalgic popcorn maker minds your snack while you argue with your S.O. about what you're going to watch. Get the recipe from Shutter Bean and the popcorn maker from Amazon for $14.87. Check out 17 more popcorn recipes for your next Netflix marathon. 16. 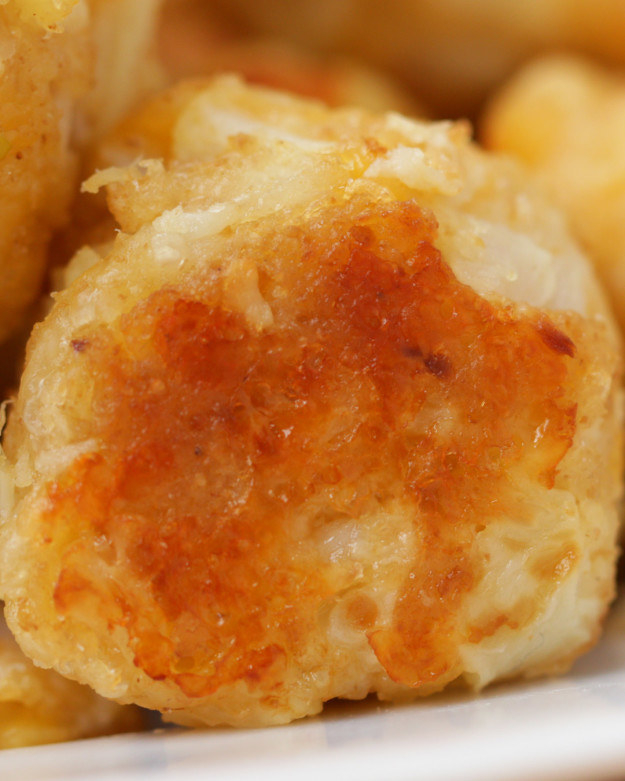 Indulge and get your veggie servings in by dismantling a head with this cauliflower prep tool and transforming it into some mouthwatering cauliflower tots. 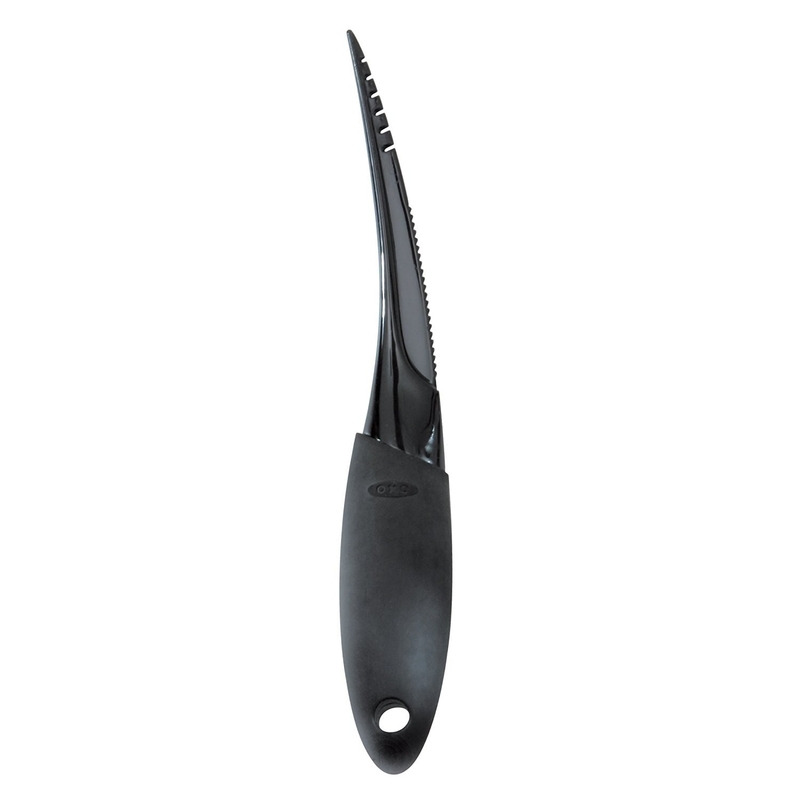 This tool easily gets into the nooks and crannies that a regular kitchen knife safely can't. 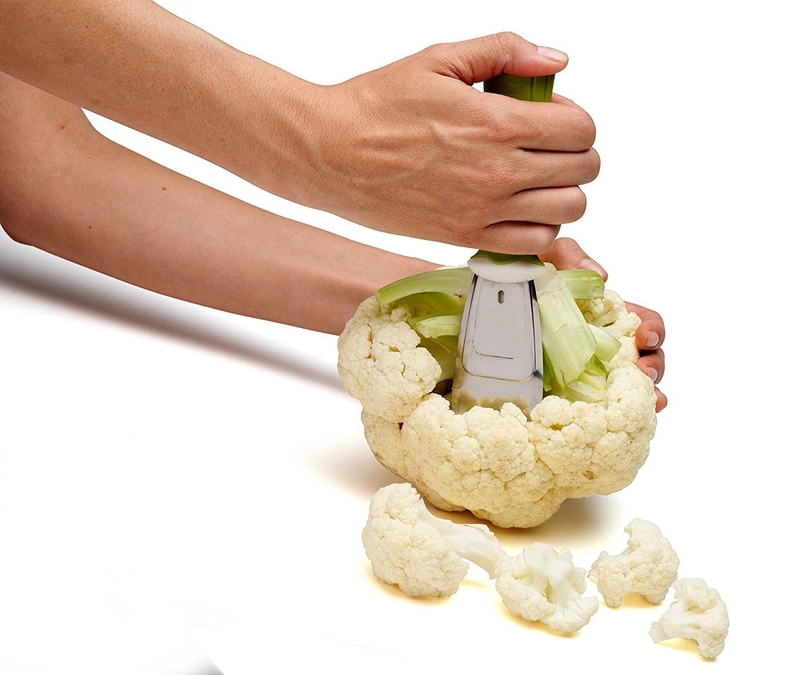 Get the recipe from Tasty and the cauliflower prep tool from Amazon for $5.97. 17. 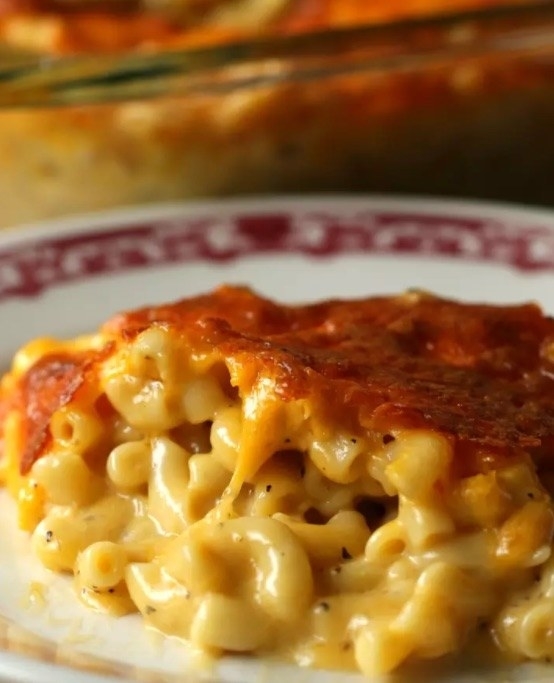 Slay Lawrence Page's mac 'n' cheese with a top-quality cheese grater. Sure, you can find most cheeses pre-shredded in a bag, but you'll most likely have to transform a hunk of smoked Gouda with a grater. 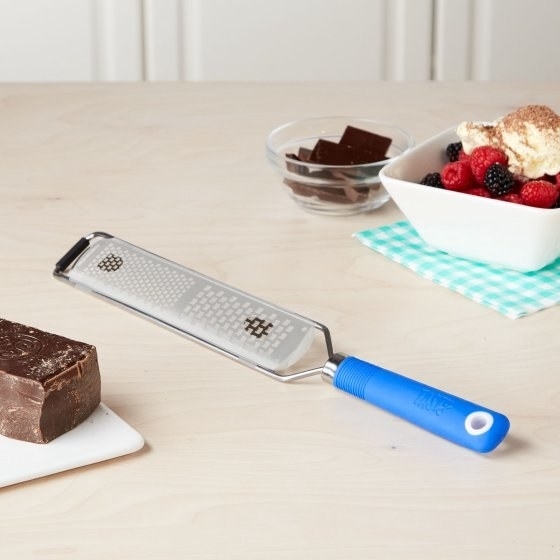 Get the recipe from Tasty and the cheese grater from Tasty's collection at Walmart for $8.97 (available in four colors). 18. 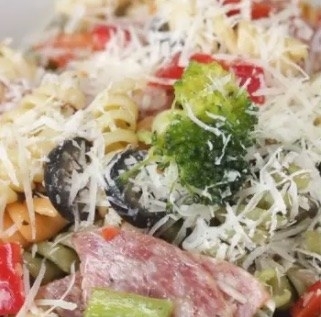 Whip up some delish Italian pasta salad even faster with this microwave pasta cooker. 19. 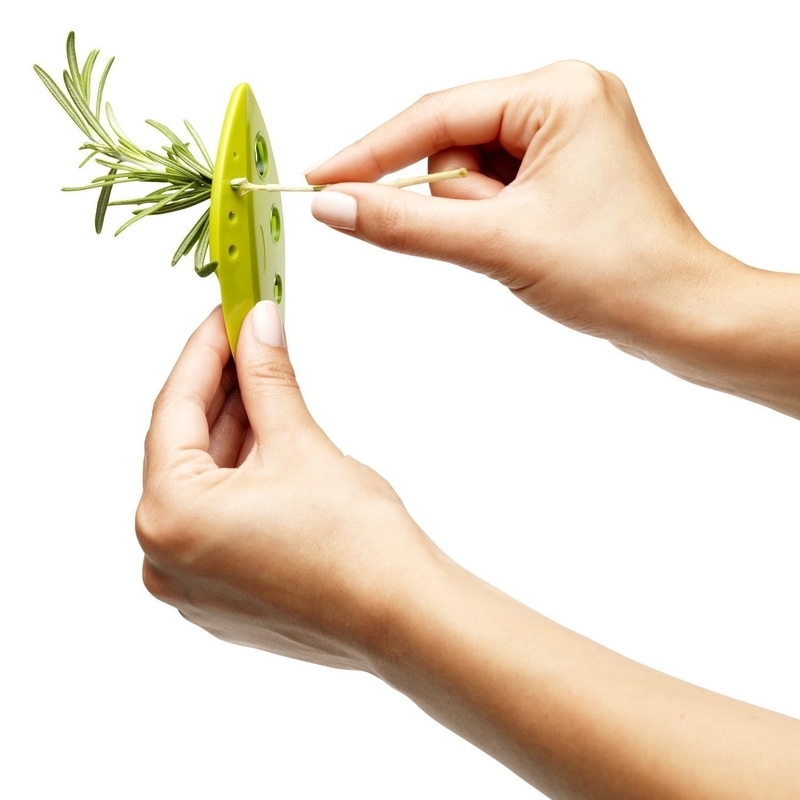 Win your own private version of Chopped by using this handy herb stripper to cook a garlic and herb-marinated rack of lamb. 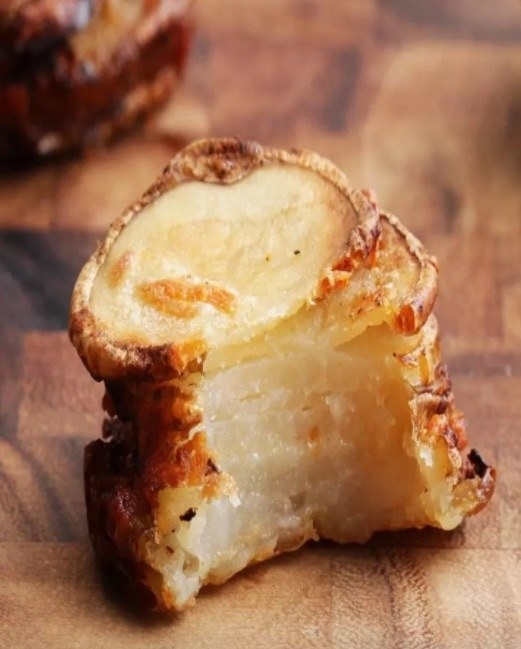 Tackle this bragworthy recipe in record time thanks to this tiny tool. Get the recipe from Tasty and the herb stripper from Amazon for $7.95. 20. 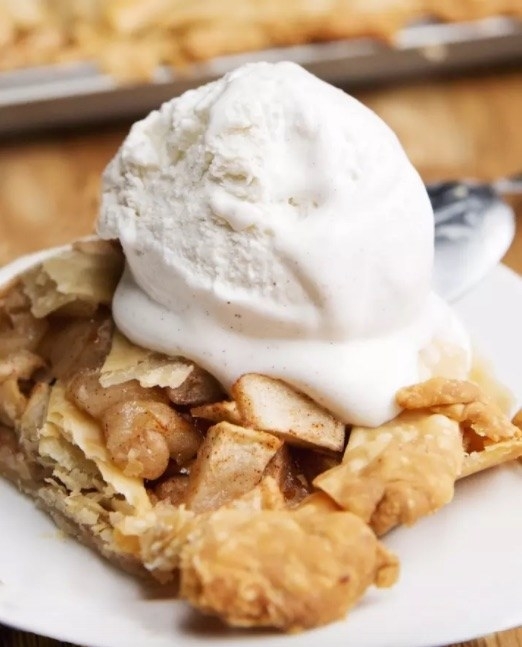 Treat yo' self to an apple slab pie with considerably less work thanks to this apple slicer. Make chopping up the perfect-size pieces of apple more manageable by slicing and coring it first. 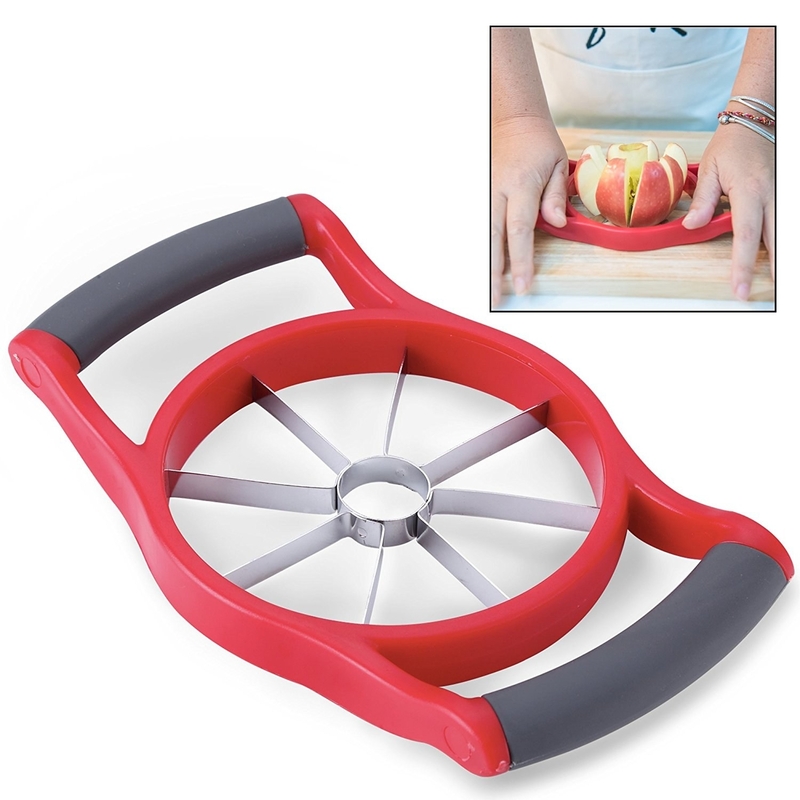 Get the recipe from Tasty and the apple slicer from Amazon for $10.95. 21. 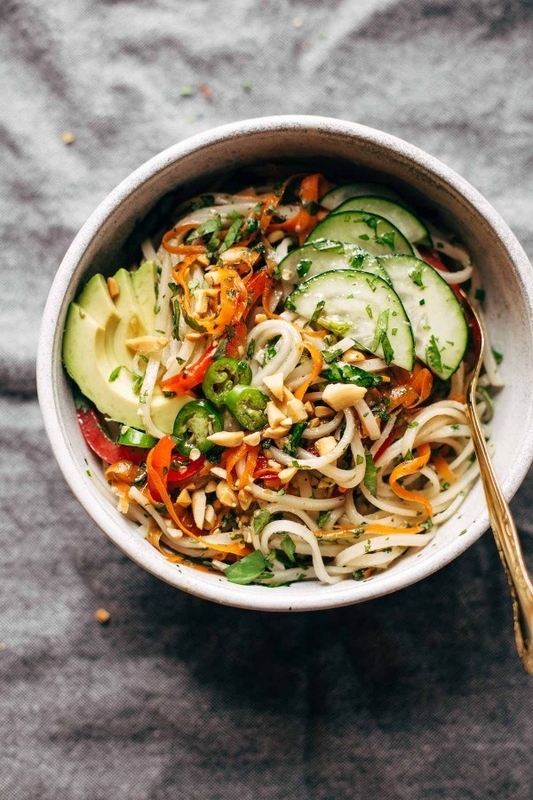 Mix up the sweet garlic lime sauce for these spring roll bowls with a salad dressing shaker that also stores and pours. 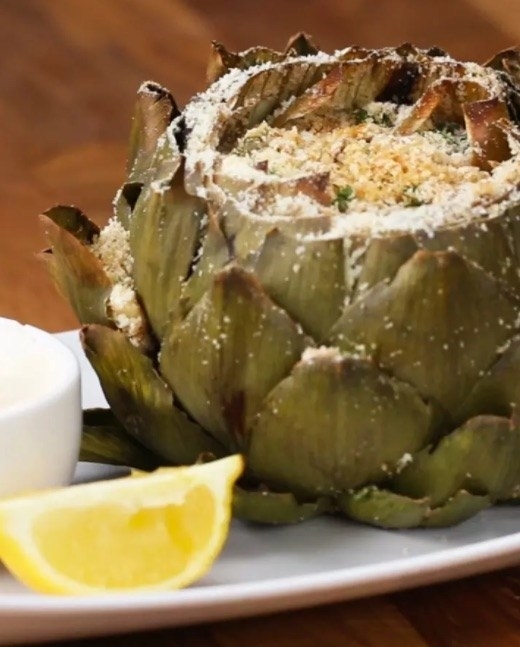 Now you don't have to whisk dressings in a bowl and risk sloshing them all over the place. 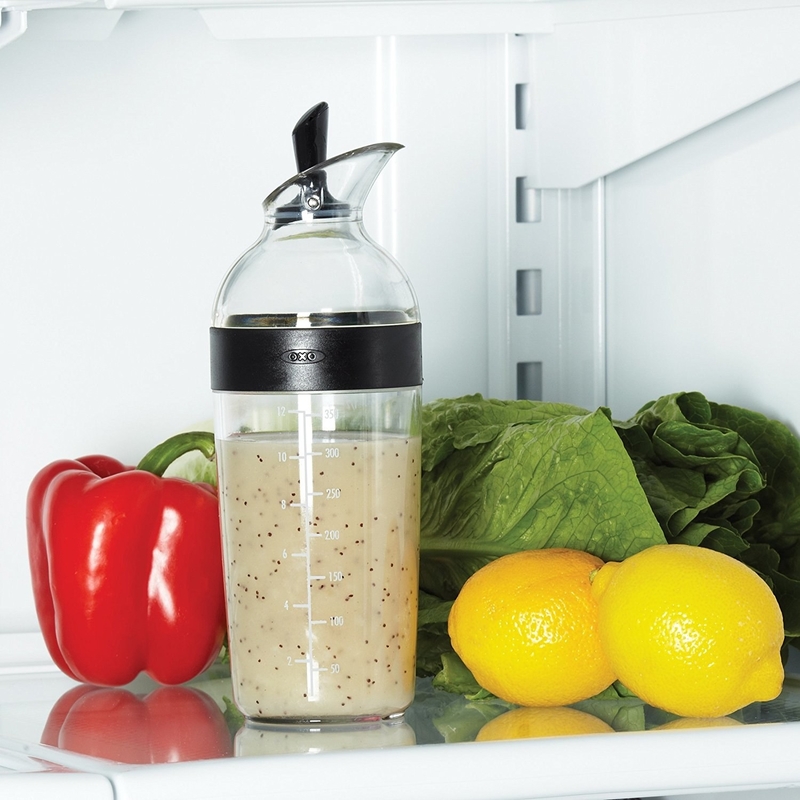 Get the recipe from Pinch of Yum and the salad dressing shaker from Amazon for $14.95. 22. 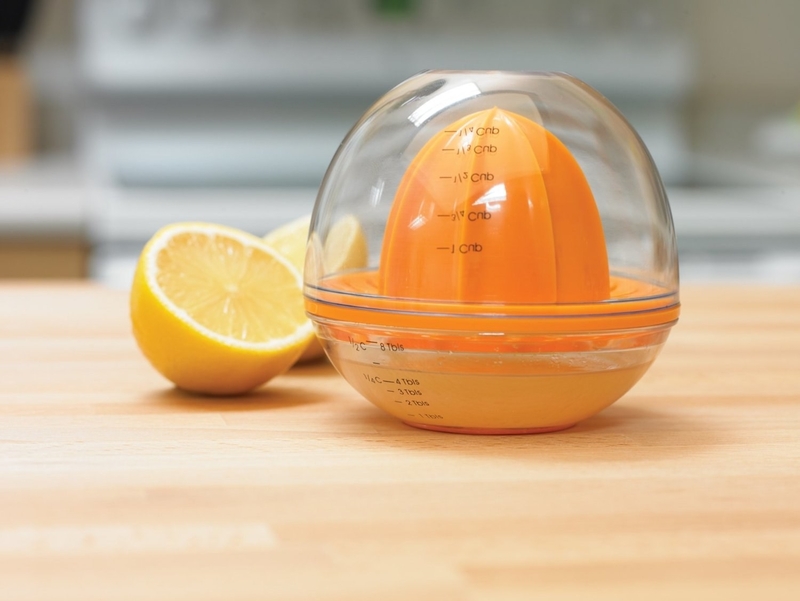 Juice the lemon for some garlic Parmesan-stuffed artichokes with this 2-in-1 juicer/container. 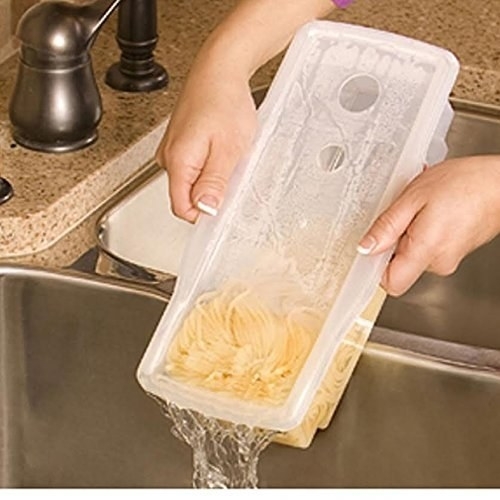 It even stores the juice so you won't have to squeeze over a bowl. Get the recipe from Tasty and the juicer from Amazon for $6.75. 23. 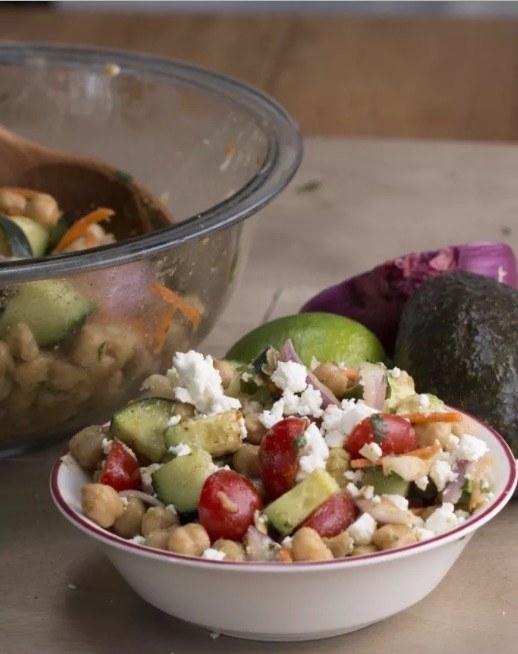 Toss together some avocado chickpea salad with ease thanks to this 3-in-1 avocado slicer. 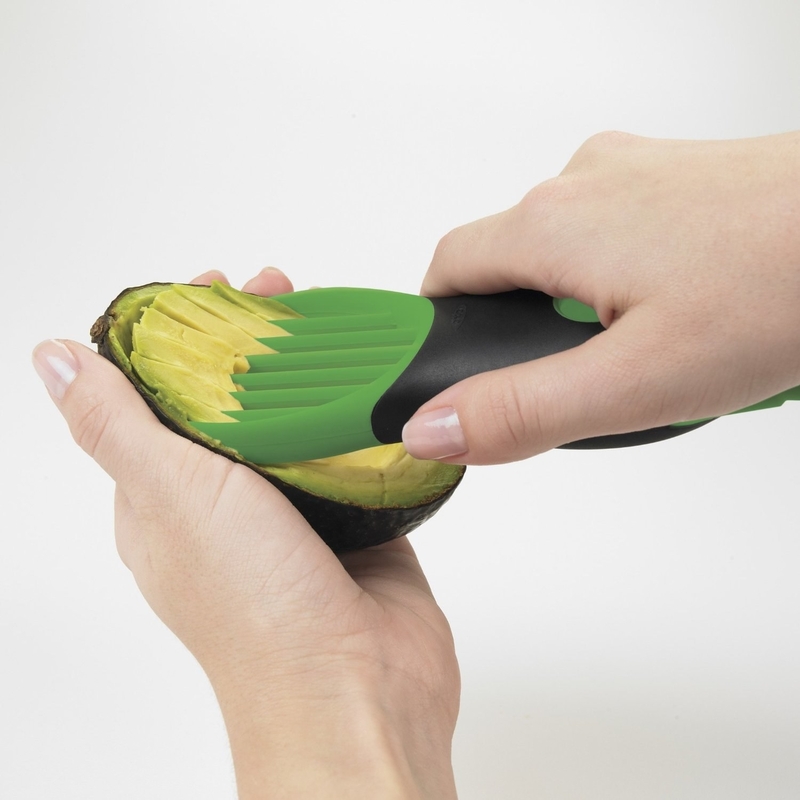 It's always a struggle with a regular old knife and an avocado, anyway. Get the recipe from Tasty and the slicer from Amazon for $9.99. 24. 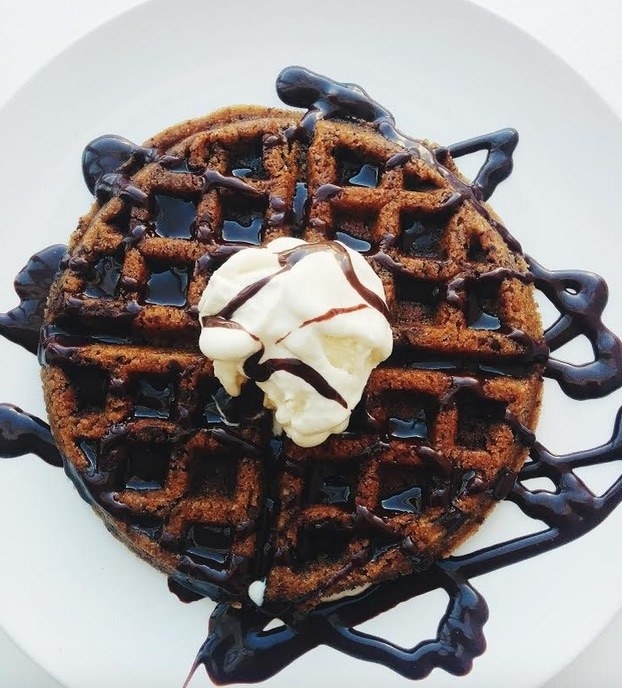 Get decadent with a waffle maker and this clever cookie waffle recipe. You're using your waffle maker wrong. Put it to work on all these yummy recipes, too. 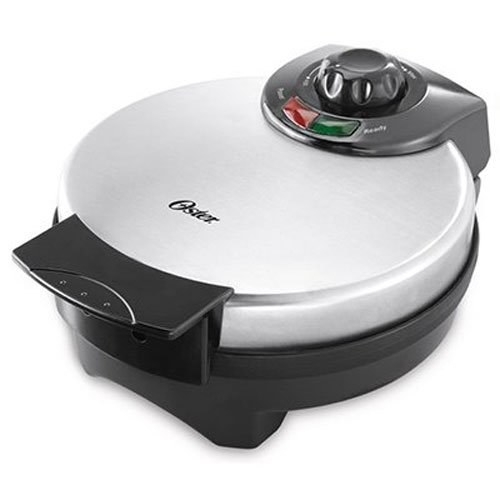 Get our recipe here and the waffle maker from Amazon for $17.88. 25. 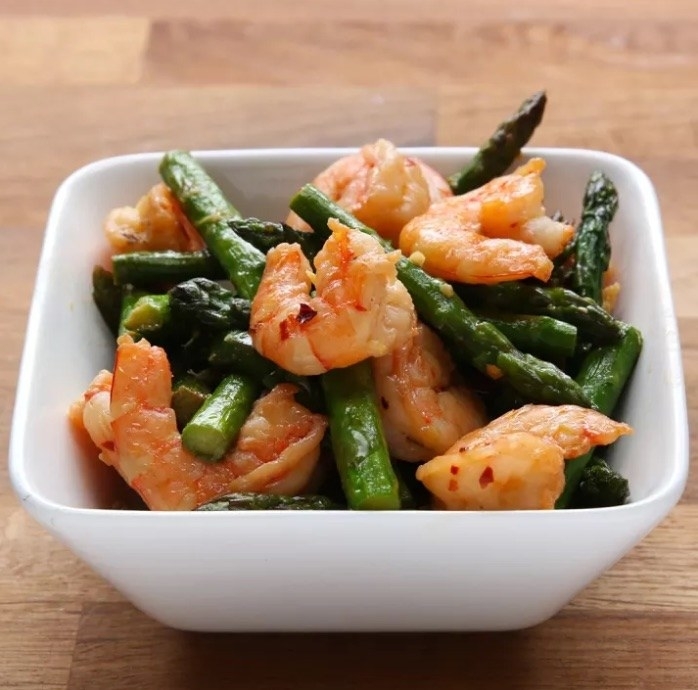 Gloat about fixing this healthy shrimp and asparagus stir fry on Instagram ~and~ make a Boomerang of the awesome food chopper you used to make it happen. Ditch the cutting board (and an extra dirty thing to wash) in favor of this handheld chopper. 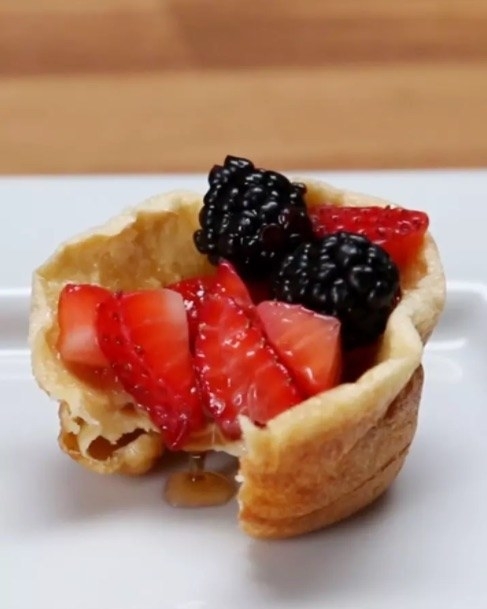 Get the recipe from Goodful and the chopper from Amazon for $9.55. 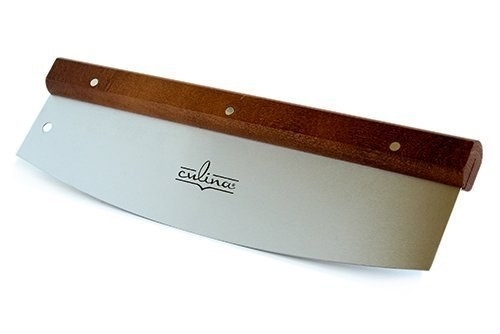 And check out our top picks for the best chef's knives on BuzzFeed Reviews. 26. 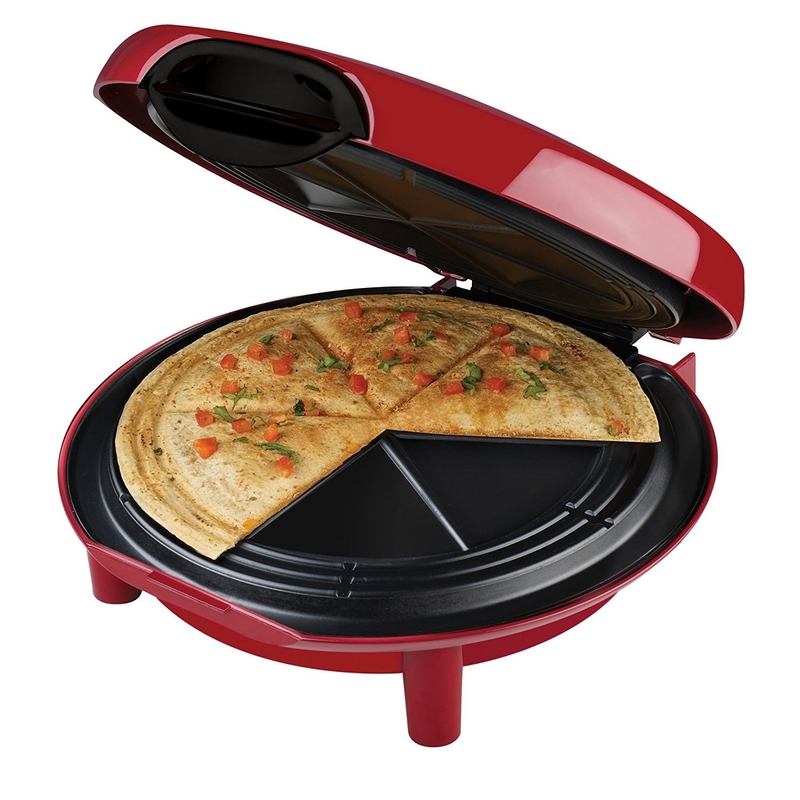 Make room for lots of steak fajita quesadilla fillings with this George Foreman quesadilla maker. 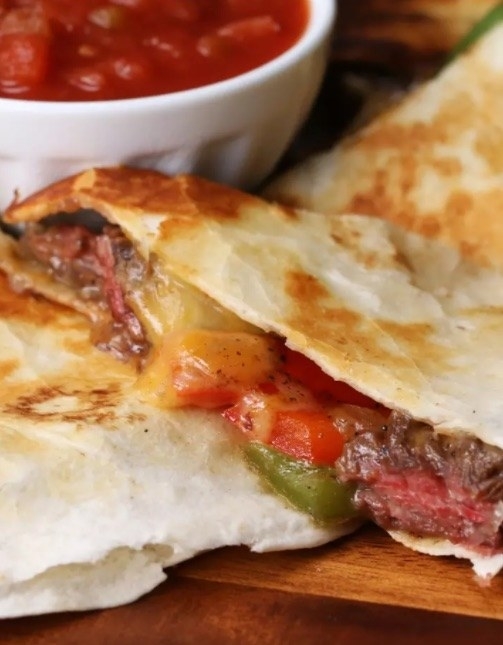 No time wasted on perfecting the quesadilla flip or press with a spatula. 27. Create your own brick-oven-style pizza at home with this pizza stone that has a bajillion other uses. 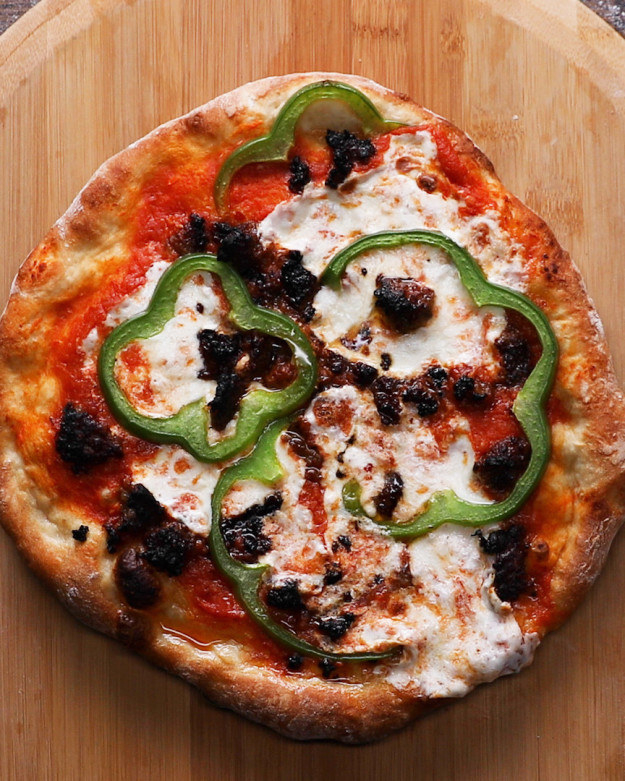 Get the recipe from Tasty and the pizza stone from Amazon for $39.90. 28. 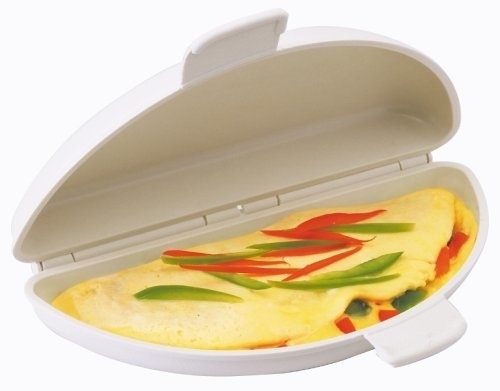 Serve up brunch in bed by whipping up this Southwestern omelet in a microwavable omelet maker. We both know your microwave is basically your assistant anyway. 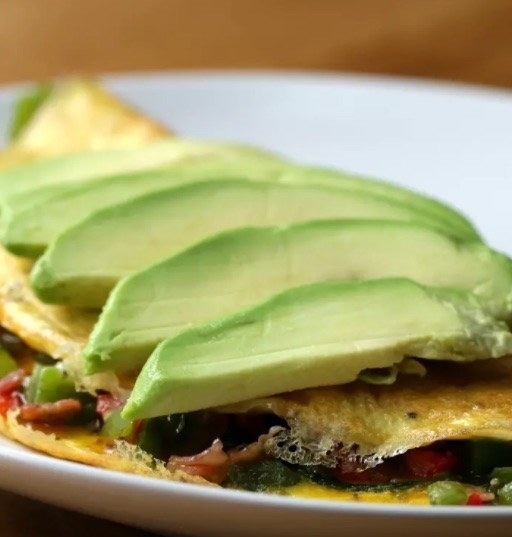 Get the recipe from Tasty and the omelet maker from Amazon for $7.19. 29. 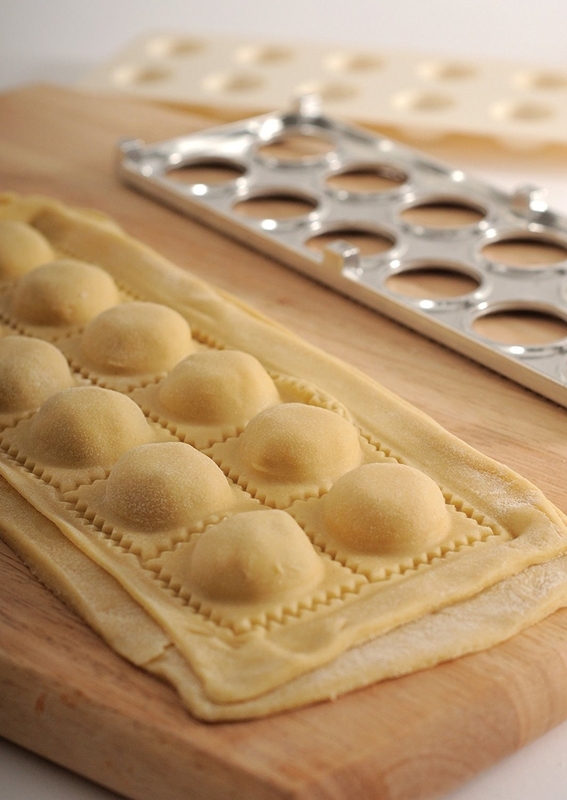 Style the perfect food photo shoot with this ravioli press and our homemade ricotta ravioli recipe. 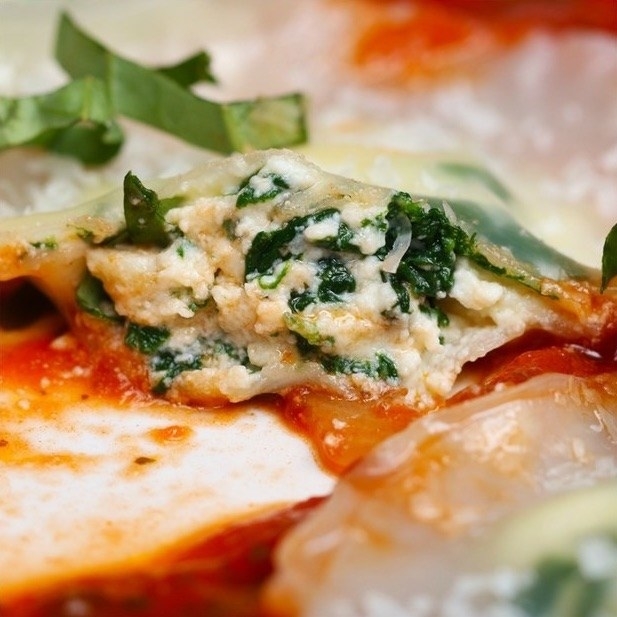 Get the recipe from Tasty and the ravioli press from Amazon for $17.12. 30. 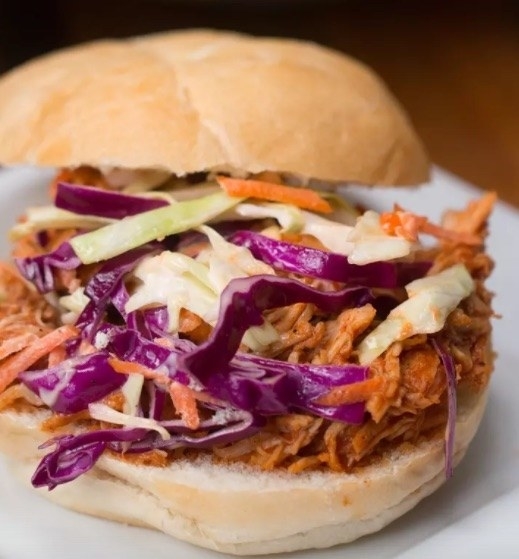 Tear into some slow-cooker BBQ chicken with these handy meat-shredding claws. 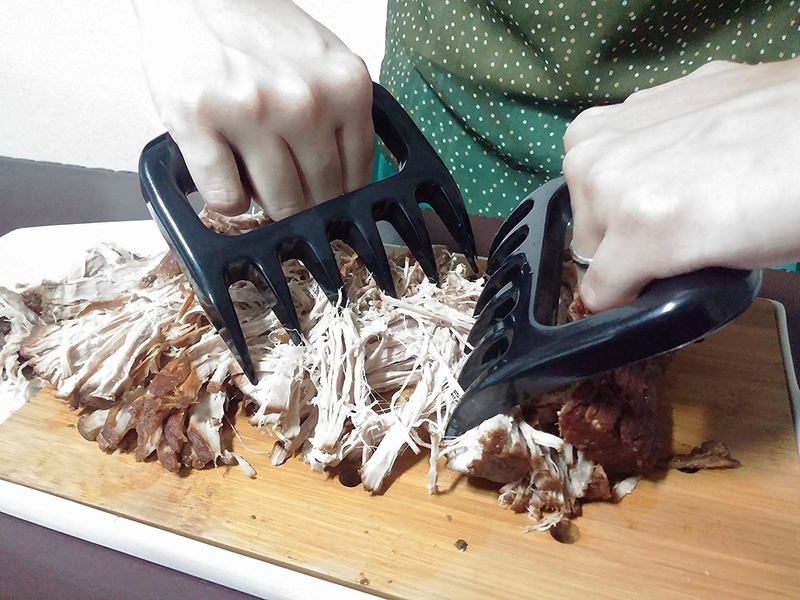 Get the recipe from Tasty and the shredder claws set (with a pair of cooking gloves and silicone baster) from Amazon for $17.95. 31. Transform your toaster into the hardest-working appliance in your kitchen with these toaster bags that make it easy to cook a gooey tomato-jam grilled cheese. 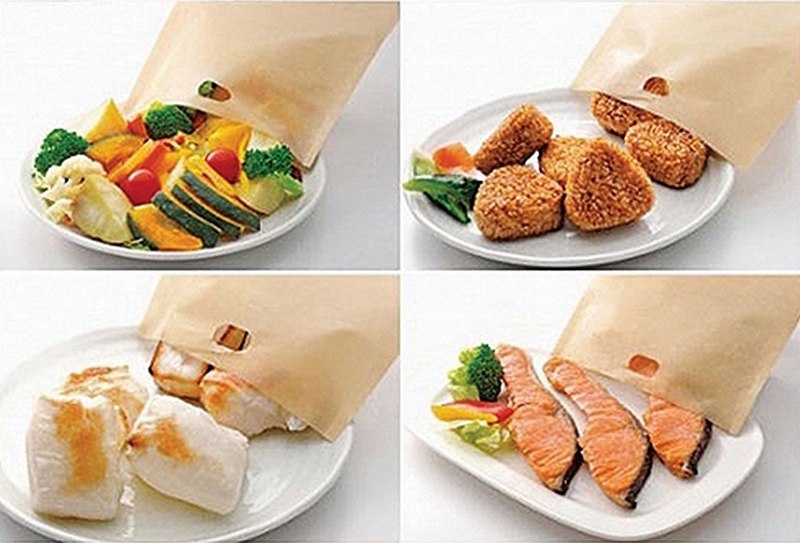 Get the recipe from The Kitchy Kitchen and a six-pack of toaster bags from Amazon for $10.99.